Get Your Wizard Hats Ready: Maguss Successfully Funded | Nerd Much? Dust off those wizard hats, as Maguss, the augmented mobile spell casting game, has successfully hit its initial funding goal. As of this morning, Maguss has surpassed their initial goal by $3,607, hitting a total of $53,607 so far. What’s more, there are still 17 days left of their IndieGoGo campaign, so it’s more than likely that we’ll see the highly anticipated mobile game receive even more funding. 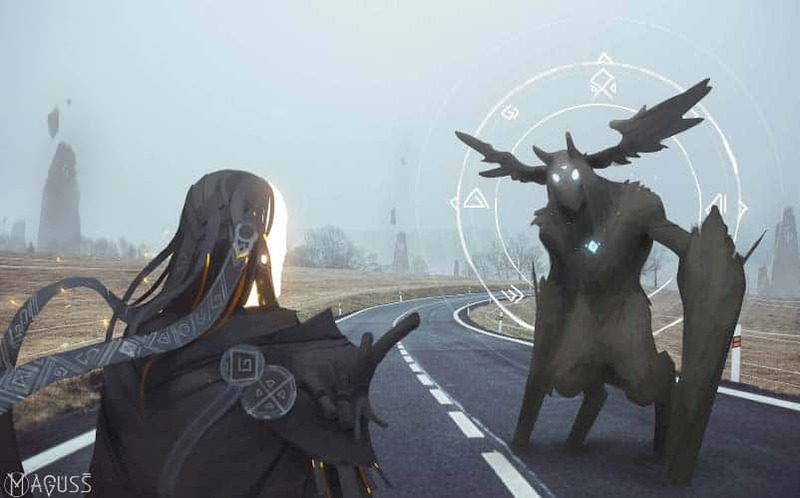 For those unaware, Maguss is basically going to play like an open world mobile augmented reality MMORPG. So, think Pokemon GO meets wizarding, and it’s on a much grander scale — meaning, there appears to be a lot more to do than what’s currently in Pokemon GO. Players will be able to walk to raid dungeons, collect various ingredients that they’ll then use for brewing potions, learning spells, and fighting their fellow wizards out in the open world. The game will also have the option to play with an actual wand that can be customized in numerous ways, meaning that you and your friend can actually have wand-based spell battles on the go. We here at Nerd Much have been quite excited about the development of Maguss, as we’re lovers of fantasy games and wizardry. Hopefully, Maguss can live up to the hype surrounding it, and all signs are pointing to it being an incredible experience. For more on Maguss, check out our write-up from when it launched on IndieGoGo earlier this month, and stay tuned for our thoughts and opinions in a Maguss review when we actually get our hands on it.